Bessemer City Middle School: Highlights - PBS in the hallway! Our Students Rock!!!! PBS in the hallway! Our Students Rock!!!! We have the BEST students around!!! Our students are modeling a part of our PBS (positive behavior support) plan, walking to the right at all times!! 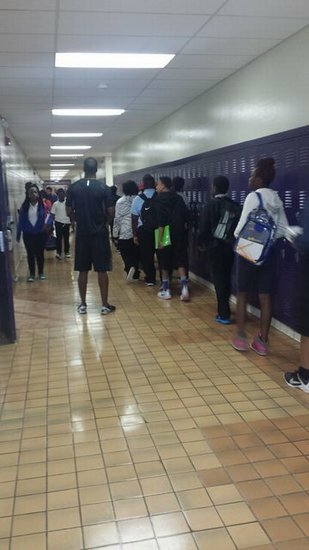 This method ensures that there is very little congestion in the hallway as the students are transitioning between classes.